If you like drawing, you’ll love printmaking. There are some very simple printmaking processes that don’t even require a press, and they will open up your imagination in a hundred different ways. I’m currently presenting two more introductions to Linocuts, one at Norton Summit Community Centre on April the 7th 1:30 – 4:30pm. Cost: $10.00. Contact Norton Summit to enrol. and also at Pepper St Arts Centre: Tuesday 24 April OR Friday 27 April (choose one session only) 10.30 am – 12.30 pm (Tuesday) OR 1.30 pm – 3.30 pm (Friday). Cost: $15/$9 for City of Burnside residents and Pepper Club members. Contact Pepper St to enrol. 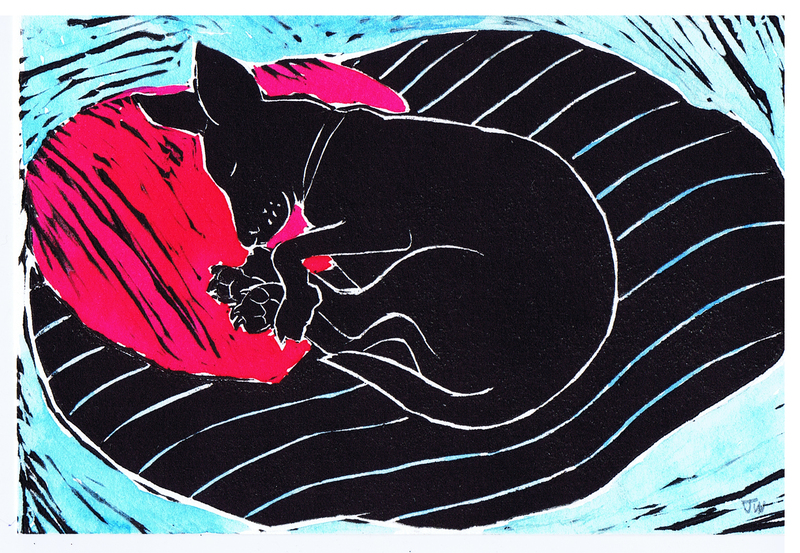 There will be a 5 week course on Linocuts at Pepper St on Tuesday afternoons, starting on May 29. Contact me using the form below to enrol. Details will be on the Pepper St website soon. To read more about printmaking, click here to go to the sister blog, Touchpaper Printmaking Tips.